I'm looking forward to your interview with Sarah D-she's such a beloved author for me and I love getting to read her thoughts! I want to check out her new book this summer!! Looking forward to the interview!! 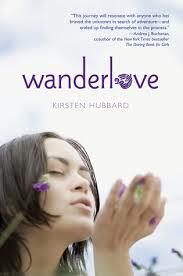 I ADORED Wanderlove. During the summer, I read a lot of travelogues and this one, though fiction, fit in beautifully to satisfy my own wanderlust. Also, I'm hearing good things about GOLDEN by Jessi Kirby. I really want to read Twenty Boy Summer (it's been on my TBR list ever since that school district banned it) and Wanderlove is one of my favorites. Definitely a perfect summer read! I'd nominate Jessi Kirby's MOONGLASS and Tamara Ireland Stone's TIME BETWEEN US as great beach reads (and just good reads in general). Also AMY AND ROGER'S EPIC DETOUR (Morgan Matson) just 'cause. Though I have to admit that Sarah Dessen books are just ones I have not been able to get into.